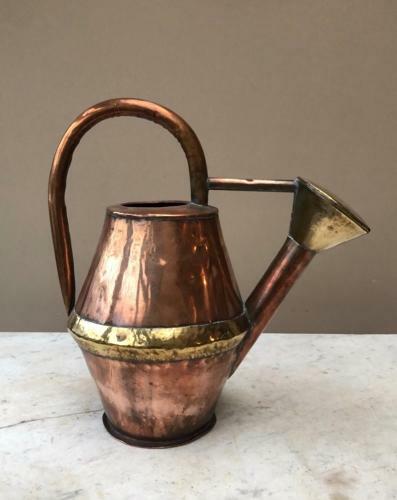 A wonderful example of a French 18th Century Brass Banded Copper Watering Can. Unusual to find one in this condition they are usually quite bashed. The photographs show it from all angles.